Csound, a free, cross-platform, do-it-yourself software solution for sound synthesis and music production, has been growing in power for more than 25 years. Getting started with this highly sophisticated system can be a bit daunting for new users. But once you've mastered the basic concepts, using Csound is nearly as easy as plugging patch cords into a modular synthesizer. That's where CSOUND POWER! : THE COMPREHENSIVE GUIDE comes in. 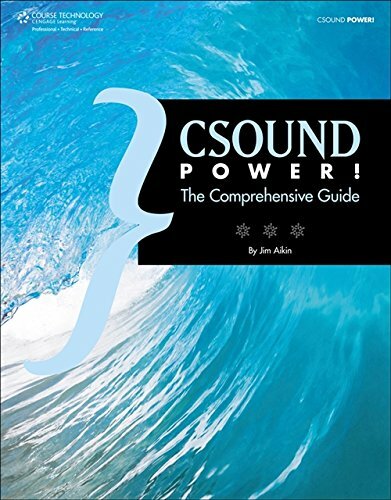 This definitive reference to Csound provides a thorough look at the most important features of this powerful program--as well as an introduction to a few secret features that even experienced Csound users may not know about. In this hands-on resource, you'll learn how to download and install Csound, how to understand the structure of a .csd file, and how to use dozens of the most important opcodes in the program. You'll find concise explanations, hands-on projects, and numerous code samples that will help you take advantage of Csound's dense, feature-rich environment and make a powerful difference in your music-production workflow. If you have any questions about this product by Brand: Course Technology PTR, contact us by completing and submitting the form below. If you are looking for a specif part number, please include it with your message.